Where? I want to know where they were! You chose a tantalizing teaser. Mine is here Sandy's Teaser, along with a related movie trailer. That is such an awesome teaser. It raises so many questions and is soooo tempting! OK, that sounds creepy. I recently got this book to review. Can't wait!!! Super great teaser! I have this book but haven't gotten around to reading it yet. I'm really looking forward to it though - I think it sounds amazing! And all the reviews have been great :) I'd love to read your review when you're done! .... well where were they?? That's very nice of you to give us such a taunting teaser ;). Thanks for sharing. 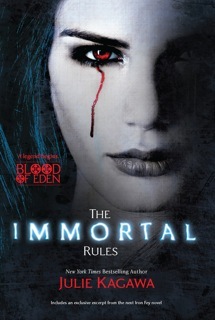 Loved The Immortal Rules! Great teaser!!! Here’s my Of Poseidon teaser! Happy Tuesday! Being a fairly new Kagawa fan, I really want to get a copy of this one. Sounds a bit scary! Thanks for sharing. My teaser is here. Oh wow! i wonder where they were, good teaser! Oooo smells like trouble. Great teaser. Perfect teaser! I just finished this last week and I loved the section this teaser is from. Happy reading! Oooh, one of the books I am dying to read! Ooooo! I have this one on it's way to me! I can't wait to get it. Wonderful teaser! Great teaser. Leaves me with all kinds of questions. Hmm.. cool teaser. I might have to check this one out.